1 Bedroom Flat For Sale in Rochford for Asking Price £142,500. 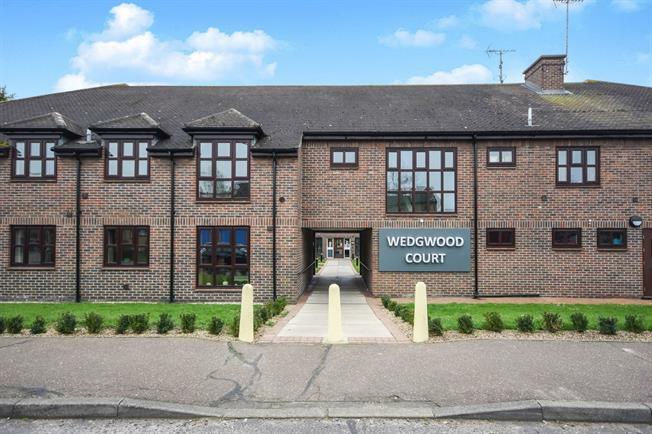 Abbotts are delighted to welcome to the market with 75% shared ownership this stunning retirement apartment situated in then popular Wedgewood Court development offering high quality living with many communal facilities to perfectly suit those looking for a community setup or independent living. This luxury ground floor apartment which has been refurbished to a high standard throughout, features a modern open plan living layout with an integrated kitchen opening to the living room, a double bedroom and stylish wet room shower room. This excellent property boasts an onsite house manager, an optional 'Careline' service and intercom entry system, and is conveniently located for Ashingdon Road's bus service with access to Rochford Town Square and the wider Southend district for all your amenities, plus offers close by nature reserves and countryside. Approximately 483 square feet. Communal entrance with an intercom entry system, communal hallway leading to your own front door. Front door opening to the communal hallway, smooth plastered walls and ceiling, coved ceiling, large built-in storage cupboard, radiator. UPVC Double glazed window facing the front and side, smooth plastered walls and ceiling, coved ceiling, intercom entry phone, radiator. UPVC Double glazed window facing the front, smooth plastered walls and ceiling, radiator. Concealed cistern WC, walk-in wet rooms style shower with glass screen, wash hand basin with vanity unit, heated towel rail, downlights, tiled walls, extractor fan. Onsite house manager, optional 'Careline' service (addition charges apply), residents lounge with hobby, TV and kitchenette areas, residents gardens and timber decked patio, residents laundry room, onsite hair salon, guest room, scooter store room with charging points.